We all thought that the Arnold Schwarzenegger scandal would cost him his film career. Well, Hollywood apparently threw him a bone, because he’s still getting acting jobs. 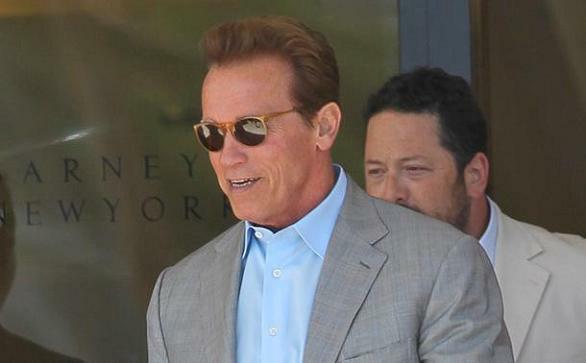 Before the love-child drama, Arnold had committed to the starring role in the film, “The Last Stand,” and now the filmmakers still want him for the role so he’s re-committed to the film. He also was in talks to do a film called “With Wings As Eagles” where he would play a Nazi soldier who helped rescue kids against orders. Naturally, those projects got delayed indefinitely. With his private life drama, there will probably be a lot of media buzz for this film. Everyone deserves a second chance but not when you’ve already gotten several. A body builder turned Governor, it’s time for Arnold to retire already.